The We Build Community initiative is designed to enable four groups in the National Coalition of South Asian Organizations to deepen their capacity and involvement in civic engagement that connect South Asian American communities with broader movements for racial justice, immigration justice, gender justice, and/or LGBTQ justice. In 2015-2016, SAALT engaged in the third year of our We Build Community capacity building initiative. We Build Community 2015-2016, supported NCSO members to more effectively deepen their capacity to increase civic engagement in South Asian communities. Meet SAALT’s 2015-2016 We Build Community cohort below! This year’s cohort of NCSO members committed to social change includes 4 diverse organizations who have developed innovative and thoughtful projects focused on this year’s theme of mobilizing our communities on issues that impact us through effective civic engagement. Chhaya CDC, Jackson Heights, NY, will deepen and expand their work around racial justice and immigration justice by launching a Community Leadership Development project. 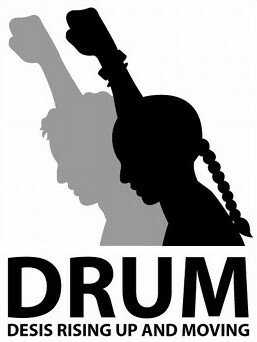 DRUM – South Asian Organizing Center, Jackson Heights, NY, will expanded on their model of membership based organizing and expanded their membership and programming to Brooklyn and Bronx. South Asian Network, Artesia, CA, will expand on a number of civic engagement projects including: non-partisan voter mobilization; South Asian women’s leadership program and advocate for the rights of the undocumented community. South Asian American Policy & Research Institute (SAAPRI), Chicago, IL, will increase South Asian Americans’ civic participation through community mapping and develop an engaged voter base through voter education and mobilization.